After a number of changes in my personal life, I have been given the opportunity to completely reassess my own desires. The amazing thing is that sometimes the narratives you have with yourself can be life changing. Pierogies. These frozen, mini, cheddar and potato filled pockets of goodness have made me happy last week. So happy that I went and bought some more this week. Why? Because they’re MY preference and something new I decided to try. 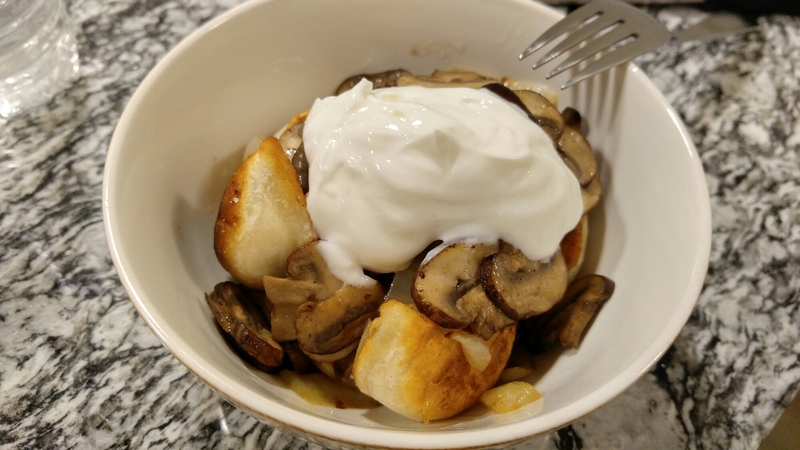 I’m attaching photos of my preparation; sauteed local baby bellas, sauteed and browned sweet onions, pan-fried and crisped/charred pierogies, topped with plain Greek yogurt! So comforting, so easy, and mostly really fast! Oh- and I didn’t forget..nothing unique. So go! Hurry up and pick some up to keep in your freezer next time you don’t feel like cooking an elaborate meal. 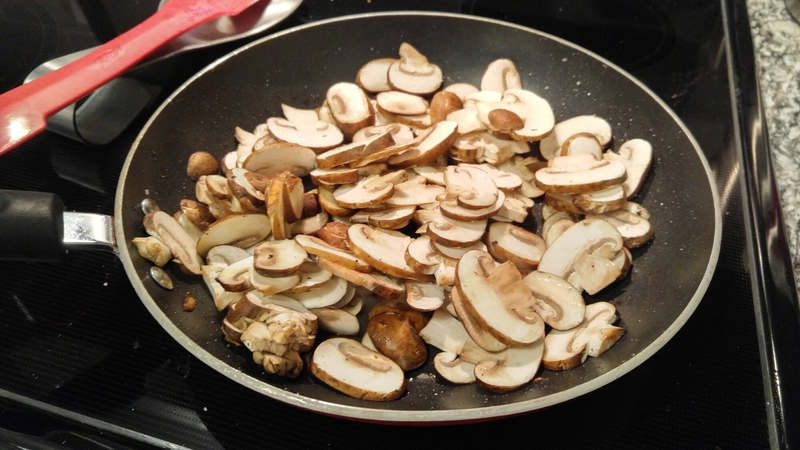 Bonus: The first time I made them, I made the mistake of pan-frying in an aluminum pan ! ! Yes – they stuck. They also created delicious crispy scraps of dough. This time I cooked them in a non-stick pan with much less mess but similar quality results and no dough crisps.